William Klauck has studied the Bible, along with any related arts and sciences, extensively for the past thirty-seven years or more, which has included the cover-to-cover reading of the Bible on an annual basis during those thirty-seven years as well. He has done this study for the purpose of satisfying a personal thirst for knowledge, as well as a strong devotion to God, rather than for the purpose of achieving accolades, and has used that extensive knowledge and strong personal relationship with God in the writing of this book. Mr. Klauck realizes that many who wish to follow Jesus Christ as the Lord of creation, as well as many who do not, are reliant on the knowledge of others who may not really qualify as followers of truth, because those on whom they rely all too often pass on information formed by verisimilitude or popular opinion, rather than by the teaching of the Holy Spirit. 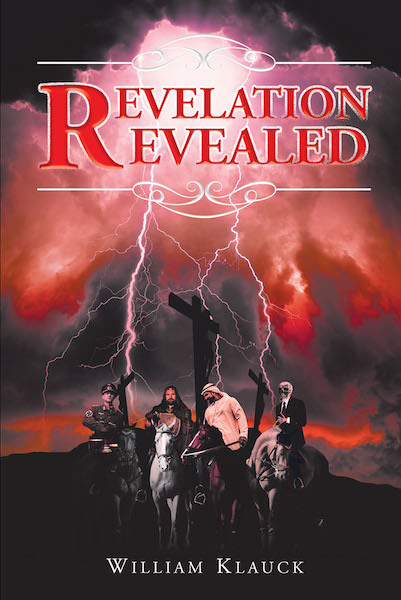 So as the author of Revelation Revealed, William Klauck has sought to go behind the veils of political correctness and religious doctrine with the guidance of the Holy Spirit, in order to expose the real truth surrounding the symbolic meanings used in Judeo-Christian prophecy, in the hopes that the reader will gain a clearer perspective of the actual meaning of the Word of God than what is commonly achieved through simply attending church on a regular basis. This book is certain to astound and be controversial among every aspect of human social existence, including religion, science, and politics, as well as refute the common secular perception of humankind's existential purpose with undeniable and inarguable facts created by history. Revelation Revealed also contains the identity of the seven spirits, or Sevenfold Spirit of God, as they are explained by the Bible itself, yet no one until now has had the courage to reveal them, because they do not fit within man's perception as governed by his fear of going outside of political correctness and religious doctrine.